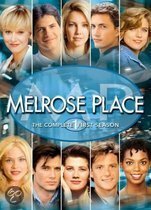 Melrose Place - Hi & Bye and, Hi again Jane!! Melrose Place - Hi and Bye Brooke!! Melrose Place - Hi & Bye Billy! !